The first Senior Officials’ Meeting of APEC (SOM1) and related meetings in 2017 will be organised in Nha Trang city, the south central province of Khanh Hoa, from February 18 to March 3. The meetings will be attended by 1,500 delegates from 21 member economies of the Asia Pacific Economic Cooperation (APEC) forum, the Asia-Pacific Economic Cooperation Council, the APEC Business Consultation Council, and some international and regional organisations along with business representatives. The events will comprise 56 meetings, workshops and dialogues of 38 APEC committees and working groups across many fields like trade and investment liberalisation, business facilitation, natural disaster response, human resources development, education, businesspeople travel facilitation, ocean and fishing, e-commerce and services. Under the theme of “Creating New Dynamism, Fostering a Shared Future,” delegates are expected to discuss and reach agreement on priorities and their contents for the 2017 APEC Year on promoting sustainable, inclusive and innovative growth, regional economic connectivity, and the competitiveness of small-and medium-sized enterprises and microenterprises in the digital era. Food security, sustainable agriculture, and climate adaptation are also on the agenda of the meetings. The delegates will also decide priorities for four committees on commerce, investment, economy, economic-technical cooperation, budget, management and for other working groups of APEC. They will outline orientations for APEC activities this year. 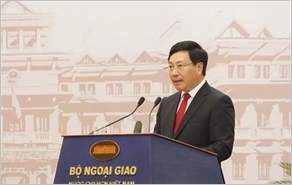 As Chairman of APEC Senior Officials’ Meetings in 2017, Vietnamese Deputy Foreign Minister Bui Thanh Son will preside over the SOM1 and the meeting of Chairman’s Friends Meeting on connectivity. 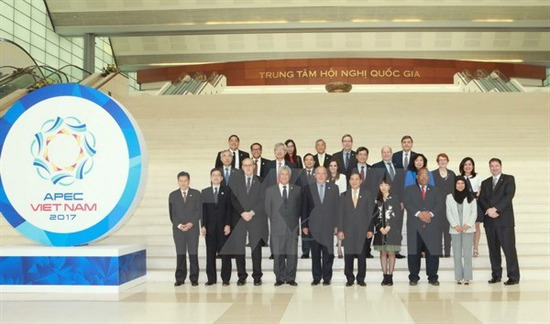 Vietnam’s 13 ministries and agencies will preside over or assume chairmanship and vice chairmanship of committees and working groups of APEC. On the occasion, the APEC Finance Central Bank Deputies’ Meeting will also be held in Nha Trang.